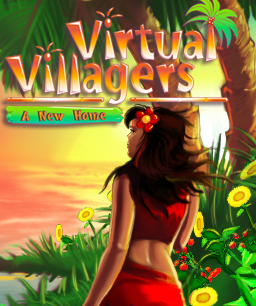 Games Like Virtual Villagers '+g+"
Virtual Villagers is a series of village simulator video games created and developed by Last Day of Work. The games are based on puzzles and strategy and have an underlying motive throughout with a mix of ethnic and cultural backgrounds surrounding a mythical island called Isola. This game is based around organizing and growing a village to develop villagers with more skill sets, culminating in giving birth to a child with all five skill sets.Games like Virtual Villagers are shown below. My Tribe is an real-time strategic game where you must create an island where your intelligent people can prosper with their families happily. After surviving an dangerous shipwreck in an uncharted island somewhere in Pacific Ocean you must lead the other survivors and prepare plan to safely get away from the island. Due to the eruption of the Boggo volcano an entire civilization has been destroyed. Its your turn to help and rebuild the civilization by gathering resources, increase population, attain advanced technology in this fun strategic game. Use your time management skills to transform Wild Tribe of Tribesville into a tribe of doctors, foragers, builders and guards before it’s too late. Escape From Paradise 2: A Kingdom's Quest,....if you can think of more, then don't forget to mention it in comments.